Colleen Wainwright, Head of the UK’s Department for International Development (DFID) in the Caribbean and Robin Todd from Mott MacDonald. 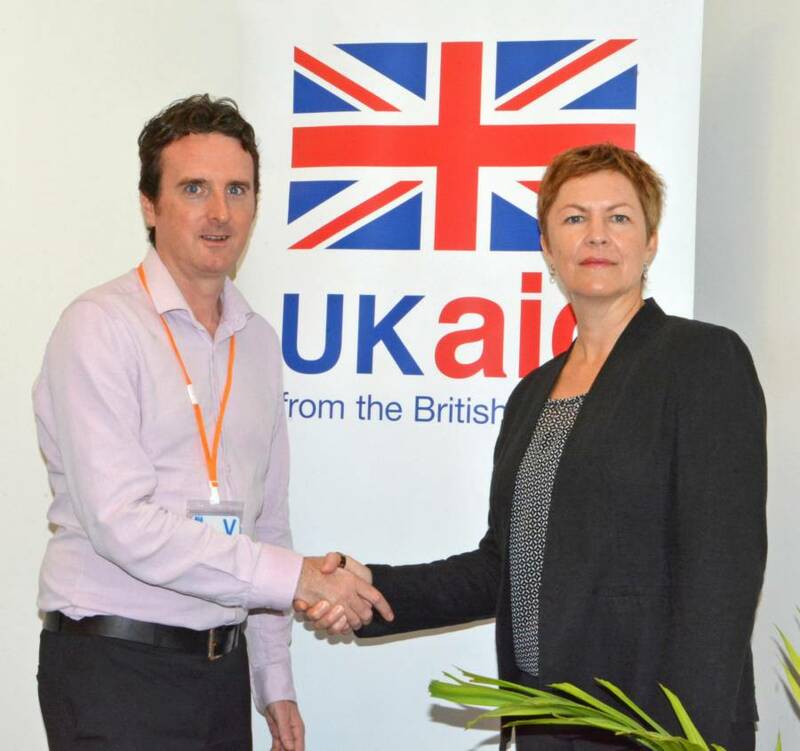 Colleen Wainwright, the Head of the UK’s Department for International Development (DFID) in the Caribbean, recently met with Robin Todd from Mott MacDonald to discuss the British Government’s new 4-year programme to support youth skills development in Dominica, Grenada, St Lucia and St Vincent and the Grenadines. Wainwright and Todd met following the signing of a contract between DFID and Mott MacDonald, which will see the global development consultancy work with a range of Caribbean partners to deliver an exciting and innovative youth skills programme in the four countries. Mott MacDonald will now work with the government in each country to develop a detailed design for a programme to specifically target disadvantaged youth and give them an opportunity to learn skills that will improve their employment prospects. The Youth Skills for Economic Growth in the Caribbean is one of a number of key projects that are grant funded from the UK. This sits alongside the UK Caribbean Infrastructure Fund, which works across eight islands in the Caribbean as well as UK projects and programmes on security and justice, climate change and disaster resilience, economic growth and public sector reform.